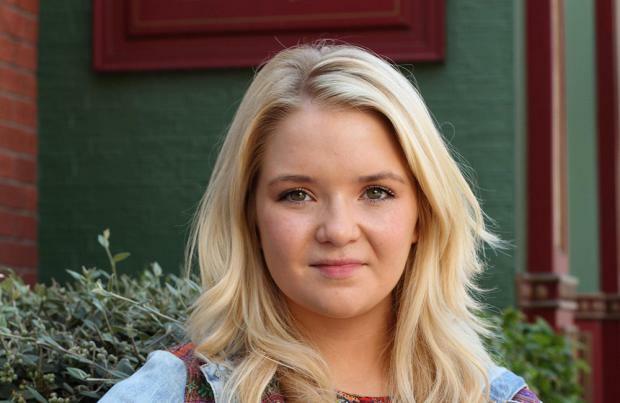 Abi Branning is set to take on her former sister-in-law Stacey Slater in 'EastEnders'. Tonight's episode (30.07.15) of the BBC soap will see the two characters - played by Lorna Fitzgerald and Lacey Turner respectively - go head-to-head as Stacey attempts to free her former flame and Abi's father, Max Branning from prison following his arrest for the murder of Lucy Beale. The youngest Branning daughter recently reported her dad - played by Jake Wood - for murder in order to secure the release of her boyfriend Ben Mitchell, who's currently cheating on her with Paul Coker. Stacey - who was previously married to Max's son Bradley - is to confront Abi after discovering that the statement she gave to the police wasn't entirely true. Not taking kindly to the market trader, Abi will launch herself at Stacey, throwing both girls to the ground. This latest development in the murder mystery is just the latest spin-off from the soap's 30th anniversary earlier this year. During the celebratory live week it was sensationally revealed that little Bobby Beale (Elliot Crighton) murdered his sister Lucy, but with the help of his father and mother he has managed to escape justice. And with circumstantial evidence now stacking up against an innocent Max, Bobby's parents Ian and Jane Beale have vowed to do whatever they can to keep Bobby - who is unaware he killed Lucy - out of prison.